All the coaching you want for a recurring monthly fee. We currently offer 5 memberships for single child or adult, multiple children and an entire family. All memberships include 10% off holiday camps, special events and private bookings. Entitles one child (3 to 16yrs) to attend unlimited group lessons. Entitles two children (same family, 3 to 16yrs) to attend unlimited group lessons. 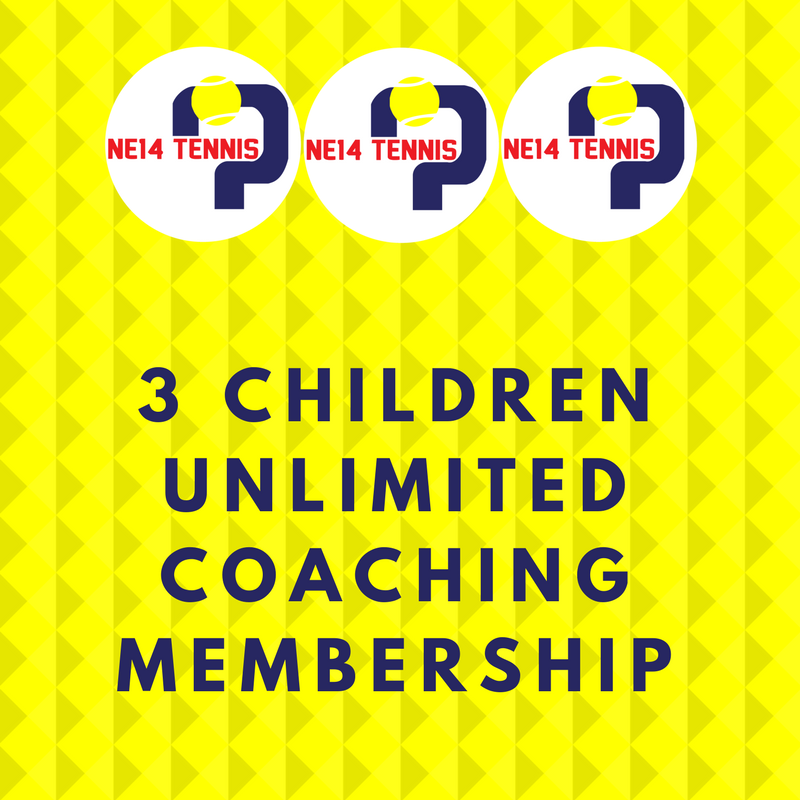 Entitles three children (same family, 3 to 16yrs) to attend unlimited group lessons. All memberships include 10% off private lessons. Entitles one adult (16+yrs) to attend unlimited group lessons. Entitles up to 2 adults and up to 4 children (same family) to attend unlimited group lessons. Joining fee of £5 for new members from April 22nd 2019. If a membership is not paid on time, any lessons the player attends will be charged at pay as you play rate. Payment will be a recurring monthly fee. Minimum term 3 months. After first 3 months, membership can be cancelled anytime. 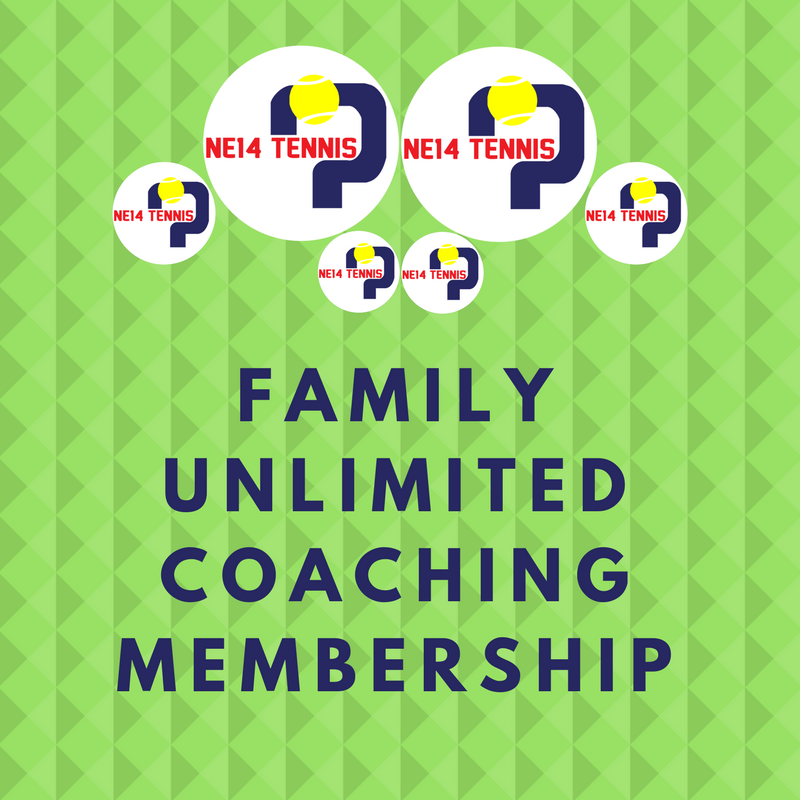 Lessons are not transferrable from one player to another on the single child or adult memberships. If a family does not use the private lesson, it will not roll over to the following month. *Goodie box will arrive between 2 - 4 weeks of membership start date.